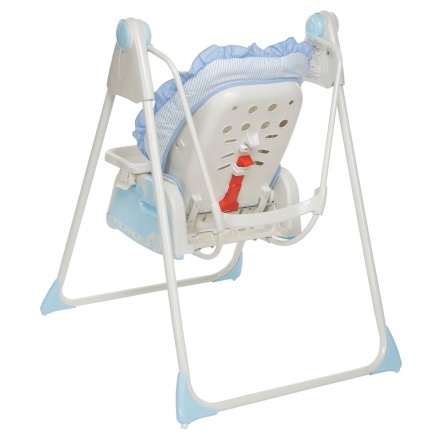 Juniors Baby Swing | Blue | It has a manual swing with 3-point safety harness. 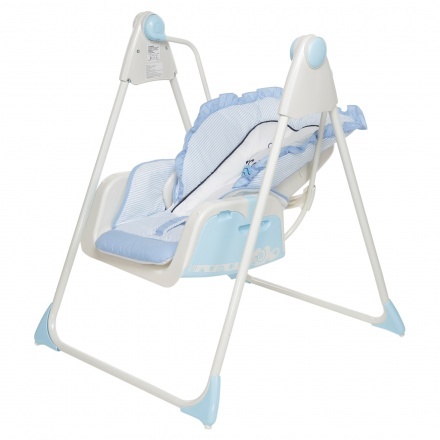 Save BHD 0 (0%) Earn 111 Shukrans What is Shukran? Shukran is the Landmark Group’s award-winning loyalty programme in the Middle East, which allows you to earn Shukrans when you shop any of our brands. 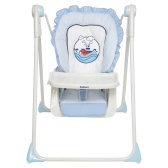 Entertain your little one with grace using this adorable swing. It has a comfortable seat with a detachable feeding tray and folds easily for transport and storage. Feature 1 : It has a manual swing with 3-point safety harness. 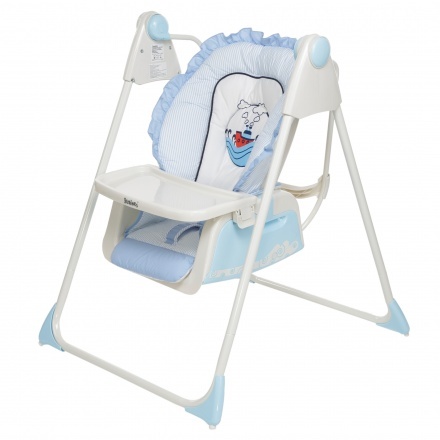 Feature 3 : It is made from steel, plastic and fabric. 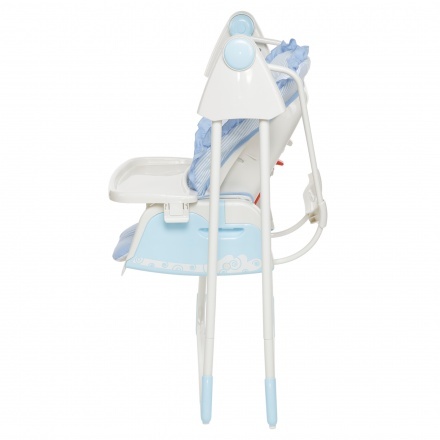 Feature 2 : It has a 3 position seat recline and can support weight up to 1 kgs.